Vodka, O.F.T.D., pineapple, lime, coconut, cinnamon, bitters. Venezuelan rum, cremede cacao, half & half, green chartreuse, coconut. Gold rum, white rum, 151 rum, honey, lime, grapefruit, allspice. White rum, lemongrass, lime, coconut, soda ...or try it with agricole, gin, or aquavit. O.F.T.D. rum, Wray & Nephew rum, allspice, grenadine, passion fruit,lime, pineapple. You Pick The Spirit (Rum, Tequila, Mezcal, Vodka, Bourbon, Rye, Scotch, Gin, etc.) We do the Rest. Put Your Tastebuds in our hands. 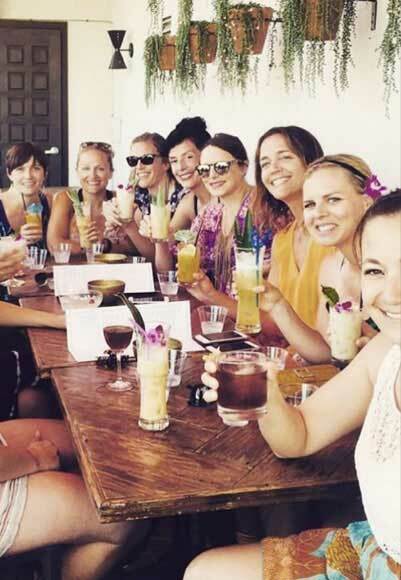 Want tiki drinks at your event? Let us know! We can definitely come to you. Your guests will enjoy Bootlegger Tiki drinks–and you will enjoy your guests getting drunk. Let’s face it. No one is the life of the party until they’ve had a few drinks in them. Love Your Friends, Hate their livers? See what's going on at Tiki Bootlegger because why not. Tucked in the original Don the Beachcomber tiki restaurant stands Bootlegger Tiki. We serve handcrafted drinks from our fan-craved originals to classic tiki cocktails. Join us and forget your daily woes every day from 4 pm to 2 am.